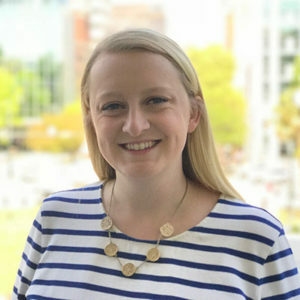 Ashley serves the Director of Marketing and Development for the South Carolina Bar Foundation where she works closely with the staff and board of directors to produce marketing materials and plans for the organization. She is a 2015 graduate of the University of South Carolina School of Journalism and Mass Communications where she earned a degree in public relations with leadership distinction in professional and civic engagement. Having lived in Columbia for the past eight years, Ashley strongly believes in giving back to the community that you live, work and play in. She currently serves as the Vice Chair for the College of Information and Communications’ Alumni Council and is a member of the School of Journalism and Mass Communications Professional Advisory Board. In addition to COR, Ashley volunteers her time with Sexual Trauma Services of the Midlands as a Victims Advocate and the Epsilon Kappa Chapter of Kappa Kappa Gamma as the Chapter Council Advisor. In her free time, Ashley enjoys spending time browsing the Richland Library, grabbing a cup of coffee at Indah or getting happy hour with friends at Tazza Kitchen.